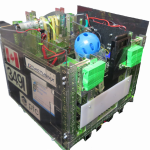 The FIRST Tech Challenge BC Championship is a one day event that is held at the University of Victoria, in Victoria, British Columbia. A big Thank You to our event hosts, Science Venture and the Faculty of Engineering. Each team designs, builds and programs a robot to compete in a robot game. The team is judged on all aspects of the competition. Depending on the judged results, teams win awards in various categories. There will be approximately 12 teams participating and the day will result in the crowning of a British Columbia FTC Champion. This is definitely the time to bring your “A” game, sense of humor, and open mind. Depending on your judged results and robot scores, your team may qualify for the FIRST Championships which will be held in Houston Texas in April 2017 with teams from around the world. Our tournament is full, and we have a wait list. Thank you for your interest in our event. 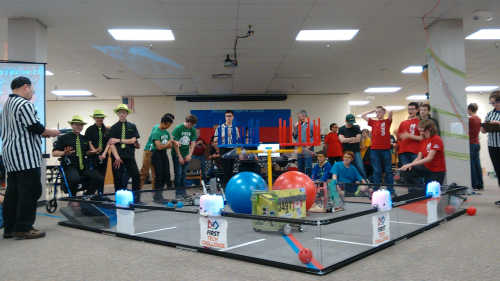 The best time to view the robot matches is in the afternoon. The event is at the Engineering Lab Wing (ELW) at UVIC. Parking lot 1 is the closest parking lot and is free on Sunday. There are a few metered and handicapped parking spots in front of ELW. Teams can use the loading zone in front of ELW for unloading/loading their robot and gear and team member drop off or pick up, but space is limited.